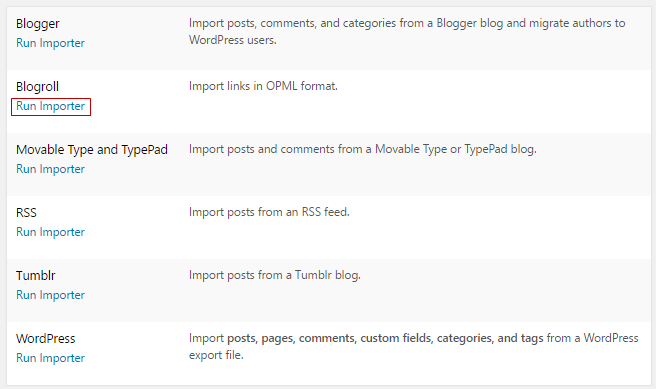 You can import links from other blogs or systems into your blogroll via Tools > Import. 2. Click Run Importer under Blogroll on the Import screen. 3. Specify your OPML URL or upload your OPML file from your computer. 4. Select your blogroll category. 5. Click the Import OPML File button. The wording varies depending on the browser. For example, Chrome is File > Save page as….